James Liotta: Hi. I'm James Liotta, the president of Prominence Capital. Shortly after graduating college, I decided to make a change from my undergraduate studies, and sports medicine, to finance. Started my career with UBS Paine Webber in 2002, being then recruited by Marry Lynch and later by Wells Fargo Investments. My experience with large Wall Street firms and commitment to helping clients, drove me to open my own independent practice, free of corporate initiatives and conflicts of interests. I'm motivated by intellectual curiosity, and a passion to learn, so that I can best serve my clients. I've achieved a great deal educationally and continuously look to achieve more, making wealth management the perfect profession for my curiosity. Outside of work, my family is the most important part of my life. There's nothing better than spending time with my wife, and three children. I'm also passionate about medical care and supporting the medical community, as I currently serve on the board of governors at Cedars-Sinai Medical Center. My favorite activities are skiing, spending time in the mountains, and cooking. In our practice, we adhere fully to the fiduciary standard. That is something that is extremely important to me, and I wanted to provide unbiased advice, free of conflicts of interest, that come with corporate initiatives and commission driven models inherent at large firms. Fiduciary standard of care, putting my clients first, is the foundation of why I built Prominence Capital. We let clients know that we utilize all forms of communication, including in-person meetings, telephone calls and emails. If I cannot be reached directly on my office line or my direct mobile line my assistant, Christine, is there to answer questions and help with servicing needs. One of the first things I try to help my clients understand is, that although the end product might look similar to what large firms are doing for clients, there is a difference. Using investment advisory contracts, investment policies statements and informational invoices, are just some of the things that clients that come to me often have not had experience with. They tend to enjoy knowing that there is a process behind everything, including full disclosure of our fees and compensation. Having the certified financial planning professional, certified private wealth adviser and an in-credited investment fiduciary help them understand that I understand people in transition. We don't just understand the needs of accumulators of wealth, but also those who want to preserve and distribute their wealth. Many of my clients are often shocked to hear me say that wealth management isn't just about growing wealth. It's about enjoying it and spending it too. I pride myself on being one of the first people my clients will call when they need advice in services of others that are in my network. It's very comforting for my clients to know that they can make a call to me, and I'm all hands on deck to help them with referrals to CPA's, attorneys, insurance professionals, real estate specialists and more. Our ideal clients are either in transition in their lives, small business owners, entrepreneurs, executives and pre- and post-retirees. If you're interested in learning more, book time to speak with me today. James Liotta: Hi. 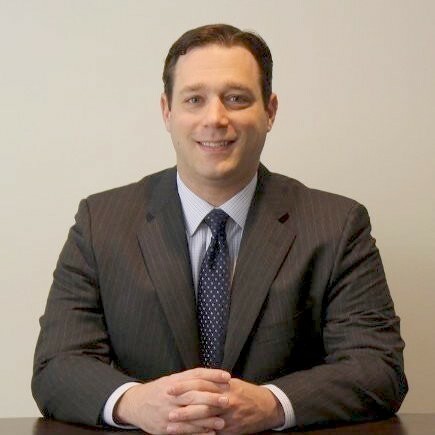 I'm James Liotta, the president of Prominence Capital. I started my career in large brokerage firms and navigating bank systems. I know that there are fine people that work in those institutions, but I believe the fiduciary standard is the most appropriate for all clients. Most large brokerage firms and banks employ salespeople whose primary focus are corporate initiatives and the goals of the corporation. They are not bound by the fiduciary standard, which would always require them to put the client's best interest first. I believe that if you can educate clients, their experience will ultimately improve. This is the reason why I'm a fee-only fiduciary adviser, in which I'm not being compensated from anywhere else other than by the client. Our clients know exactly what they are paying, and many of them enjoy understanding more through our detailed invoices and disclosures. Often when I meet with a new client and do an analysis of their portfolio, I find that they are able to save significant dollars in fees and other charges that they aren't always aware of. We have cost conversations upfront as there is no worse time for fee conversations than during a poor market environment. It's important for our clients to understand that I am a business owner, and not a sales person whose job might be to push clients for a commission-oriented arrangement. I typically find myself explaining to a new client the benefits of being a fiduciary as they don't always know the difference between a fiduciary and a non-fiduciary. When I provide clients with our disclosures and privacy statements, clients start to see the merits of a fiduciary, and the benefits they are receiving as a result. Large firms tend to have large marketing budgets, above and beyond those of small firms, so they can control the narrative more so than firms of a modest size, downplaying the importance of a fiduciary adviser. As an example, I conduct a portfolio review with all of our potential new clients. I cover exactly what they are paying to their current adviser, adviser's firm, and the internal fees they are paying as well. Based on our conversations, we go over a risk profile to assess a client's comfort level with certain investments and get a better understanding of their ideal portfolio. This entire picture starts to resonate as a result of these meetings, and I've often won business directly because of the topics we cover during this time. Once clients see it's possible to achieve the required returns with lower fee structure, it tends to resonate in a very big way. My commitment to financial education is strong for all of our clients. We want to create a strong understanding of investments for them. When people know the quality of service that we provide, they can genuinely understand the benefits of working with our firm. James Liotta: Hi. I'm James Liotta, the president of Prominence Capital. The investment philosophy that I use is to develop the most conservative portfolio appropriate to attain client's goals and objectives. This isn't always tied to a client's risk tolerance. We want to understand both the needs and goals of the client alongside their risk tolerance. Oftentimes, we see that a client's risk tolerance and their goals aren't always in concert. We work with our clients on identifying these differences to generate customized solutions. We're constantly looking at portfolio risk management, so that the client has the greatest opportunity to generate the rate of return needed to meet their goals. We'll use a globally diversified portfolio comprised of equities, fixed income, additional asset classes and actively manage it over time. We also look at asset location strategies to maintain tax efficiency for our clients, which can include investments that are taxed at the higher income tax rates being held in tax deferred and tax-free accounts, such as IRAs. A core portfolio is generated for the client, which predominantly uses ETFs that are low-cost and tradable. We can customize these solutions and be very tactical in our approach. We can also overweight certain areas of a portfolio where we think we can generate extra returns at the right level of risk. After we've created a core portfolio using the ETF strategy of broadly diversified global investments, we would then look for opportunities for generating a return in other areas. These could be single stock selection, direct investment, tax-free municipal bonds or other investment ideas. Our goal is to keep the fees for our clients low and reduce tax ramifications by using appropriate asset location and tax efficient investments. Our portfolios typically have exposure to international and domestic markets in both equity and often, fixed income. We look as much at liquidity for our securities we select as we do the cost structure, risk characteristics, and the benefits they provide. Clients take comfort in knowing that all of our portfolios are designed to be specific to each investor. We don't offer a 60-40 model that fits everyone's needs, for example. Though our clients may have similar investment mixes, none of them are identical to those of another, as each client situation is different and unique to them. If you're interested in learning more, book time to speak with me today.